ArtGuitar is showing Summer NAMM visitors the printing gear employed to customize guitars. 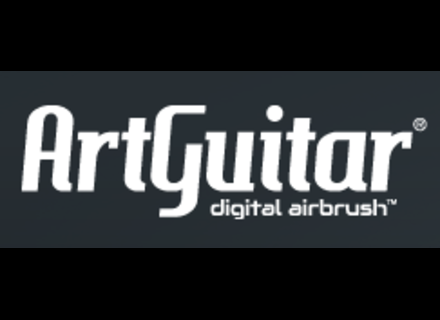 ArtGuitar can customize any acoustic and electric guitar and many other instruments by painting directly and permanently the image of your choice. Its creator, Stephen Spurgeon, who already has a long history and some patents in the printing industry (he worked with HP among others), has been working with Fender, Gibson or Peavey on limited edition custom guitars. You can also ask for a custom design with your own image. 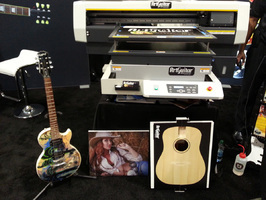 Discover ArtGuitar creations at www.artguitar.com.